NEW YORK–(BUSINESS WIRE)–Edrington, the international premium spirits company, today announces that it has established Edrington Americas, a wholly-owned sales, marketing and distribution company for the United States (U.S.). Edrington now controls all distribution of the company’s leading brands in the world’s largest premium spirits market. Edrington’s portfolio includes many of the world’s most acclaimed spirit brands, including The Macallan, Brugal rum, The Famous Grouse, Cutty Sark, Highland Park and Snow Leopard vodka. Headquartered in Scotland, Edrington is privately owned by a charitable trust, The Robertson Trust which, as a result of Edrington’s success, was able to donate over £15 million to charitable causes last year. 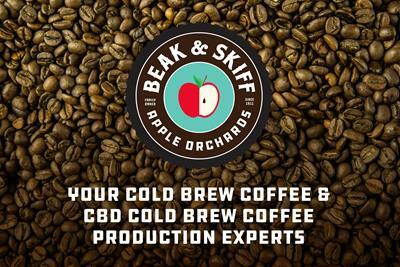 The company’s unique business model allows it to make long-term strategic investments in product quality and brand building. The launch of Edrington Americas significantly strengthens Edrington’s route to market, through a quadrupling of headcount, an expanded New York headquarters and new regional offices in Miami, Chicago, Dallas and Orange County. Edrington also announces today that it has signed long-term agreements with the leading distribution groups across the U.S., including Charmer Sunbelt Group, Martignetti Companies, Republic National Distributing Company, Wirtz Beverage Group and Youngs Market Company. These agreements establish Edrington’s route to U.S. consumers across North America. The launch of a significantly expanded business in the U.S. demonstrates Edrington’s confidence in the continuing potential for growth in the market. Edrington Americas will allow the company to expand its reach to major cities across the U.S., where premium spirits – particularly Scotch malt whiskies and premium rums – are gaining market share and forecast to continue growing. This is a key part of the company’s distribution strategy and builds on the success last year of establishing new marketing and distribution companies in South East Asia and the Middle East. Edrington owns some of the leading Scotch whisky and golden rum brands in the world, including The Macallan, Brugal, The Famous Grouse, Cutty Sark and Highland Park. In addition to its core brands, Edrington acquired Snow Leopard vodka in 2013. Edrington is headquartered in Scotland and is an international business employing over 2,200 worldwide, with over 60% employed overseas. Edrington is owned by a charitable trust, The Robertson Trust, which donated £15.3m to a variety of charitable causes last year. 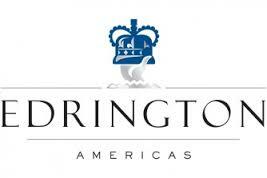 Edrington Americas is headquartered in New York, NY with regional offices in Dallas, Chicago, Miami and Orange County.